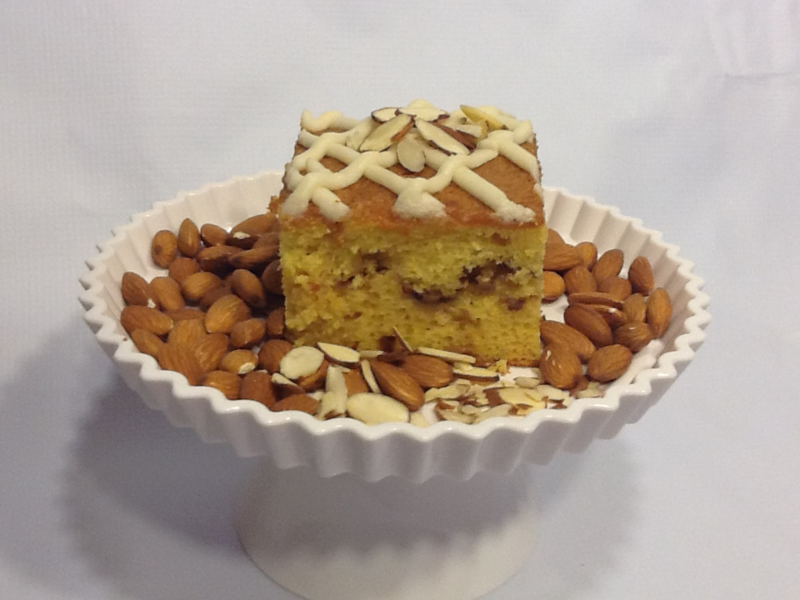 Rich, moist and nutty with the flavor and aroma of sweet almonds. Rich, moist and nutty with the flavor and aroma of sweet almonds. Here are our cake sizes and how many people you can serve: Regular-12x9 ( can serve up to 9 people ), Large- 22x13 ( can serve up to 25 people ).